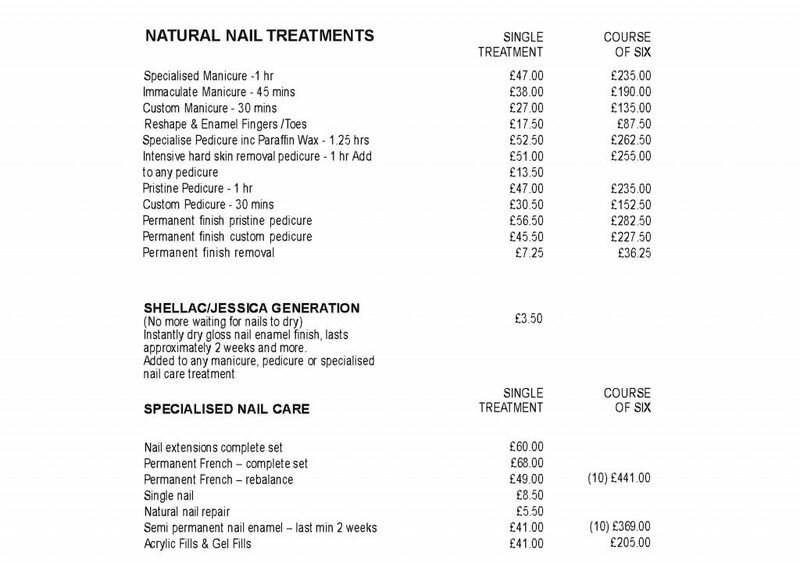 Please find below all our price lists. 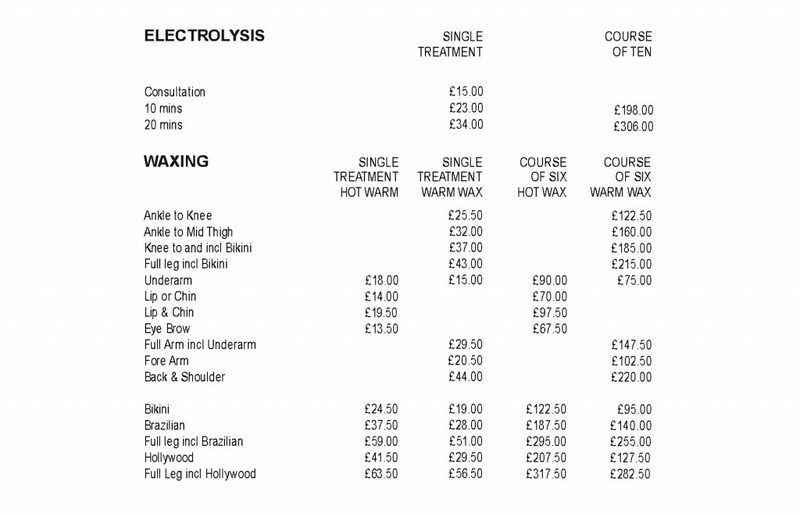 Cancellation Policy – 24 hours notice must be given prior to cancellation of any appointments if shorter notice is given and we cannot fill the time, the cancelled treatment will be charged at £50 per hour, or a course treatment will be forfeited. Appointments of 45 minutes or more require a 50% deposit or credit card details. All courses must be paid for on commencement. All slimming courses should be completed in 3 months. Money is not refundable. Goods cannot be exchanged unless they are defective. The management cannot accept any responsibility for any personal items left or lost on the premises. Personal details taken from clients during consultation procedures will be kept secure and in the strictest confidence. Clients are respectfully requested to switch off their mobile phones during their visit to the Salon out of consideration for other clients. All prices include VAT at 20% and were correct at time of publication.